Many piping systems have proven to be reliable over the years, but there are some important measures to take that can ensure a long life for your pipes after years of daily use. Despite the impulse to unclog every drain with clearing products easily found at any given supermarket, these items will only damage your pipes and negatively affect the environment as a result. As well, they rarely fully resolve the issue in the short term, so the problem is likely to happen again and the problems will repeat themselves. It is better to hire a professional to snake the drains. Applying high pressure water on a regular basis can eat away at the lining of your pipes over time, and cause a leak in the worst case scenario. 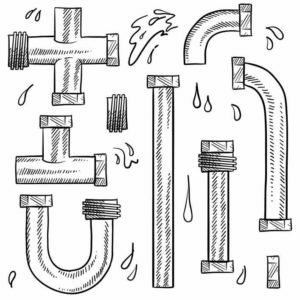 Each time you use your pipes after they’ve developed leaks causes them to work harder, producing more leaks. And a low-flow shower-head doesn’t resolve this problem; it only causes the shower-head itself to perform at lower pressures. A hose bib gauge can measure the pressure of the water within the pipes, and it can be attached to a spigot outside for viewing convenience. If it shows numbers outside of 40 and 85 PSI, consult with a plumber to consider a pressure reducer system. Ask your plumber if your water contains high levels of mineral content, or hard water, as it can negatively affect your plumbing system in the long run. The mineral content, made up of things such as magnesium and calcium, builds up along the walls of the pipes and restrict the water, which then increases the pressure and causes problems. This is a problem especially in the Southwest and the Northeast, so make sure to consult with a plumber if you leave in these areas. One sign that you might notice yourself white debris present around shower-heads and faucets. You can also review your house’s municipal water service for information about your water’s quality. If you do have hard water, they will install a water softener to prevent further damage to the piping system, consisting of sodium and electromagnetic pulses in more contemporary solutions. The sodium based system is pricier but more convenient if an electrical outlet is not available.